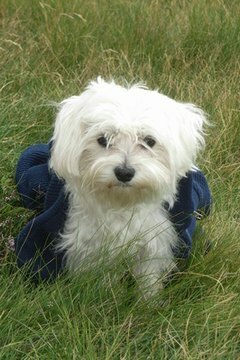 The little bichon frise acquired its name and popularity in 14th century France. Is your little bichon frise pal itchy? He's not alone. 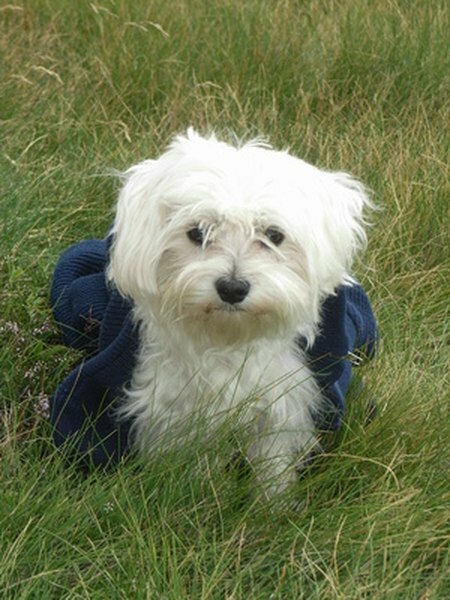 Skin problems are a primary health issue for members of the bichon frise breed. These small, friendly toy spaniels grow a lot of hair, and they don't shed. That means grooming and skin health must be priorities for their owners. All dogs can suffer from dermatological problems, but bichons are known for their sensitive skin. The Bichon Frise Club of America says up to half of all bichon frises suffer at least one skin ailment during their lives. The skin of a bichon is particularly pink because of a lack of pigment, making these little dogs particularly prone to skin health issues. They are vulnerable as well to the common skin ailments that affect all sorts of breeds, so the battle to keep your bichon's skin in good condition is continuous. Fleas are a big problem for bichons. Many suffer from allergy to flea saliva, which worsens the itching and inflammation normally caused by flea bites. Ticks and lice can also make your pet uncomfortable, and they may transmit diseases and microscopic parasites. Pest prevention, in the form of topical ointments, flea collars or flea baths, is the best way to keep your pet sane and scratch-free. Allergy is a common health concern for dogs, but the bichon's sensitive skin puts the breed near the top of the list of particularly allergy-prone breeds. Dust, pollens, and some foods can cause serious skin problems in allergic dogs. Because bichons don't shed, hair loss is an obvious allergic symptom that you will probably notice quickly. Rashes and lacerations from scratching can damage the skin, making it temporarily unable to support healthy hair growth. Scratching can subject the skin to secondary bacterial or fungal infections. Bathe your dog regularly, vacuum your house, and limit your dog's time outside to help reduce his exposure to allergens until you can figure out exactly what is causing the problem. Consult your veterinarian about testing for allergies if the problem persists. Bichon frises are social animals. They do not do well when they are left alone frequently or for a long period of time. They are apt to lick themselves excessively out of anxiety and boredom, which can pull hair out and irritate the skin. Keep your dog occupied with toys or a healthy and durable treat when you are away for several hours at a time. Make sure to spend plenty of time playing with and petting your bichon to help fulfill his need for social interaction. Ringworm is a highly contagious, although not very dangerous, fungal infection that causes itching and hair loss. Some bacterial skin infections can also cause rashes, shedding and other skin problems. If you don't know what is ruining your dog's skin and coat, take him to a veterinarian as soon as you can. Skin problems aren't always serious, but they can be. It's important to get your dog's problem diagnosed and treated as soon as possible. Do Bichon Frise Have Anxiety Problems? What Kind of Food Should a Bichon Frise Eat?